Wind turbines are used for several reasons but the main one is to generate power by using wind as an energy source. This may sound difficult but it is possible. You experience energy from the wind whenever someone runs past you quickly. A second after they pass you can feel the wind from them going by. This wind that you feel if produced in a great amount can be converted into energy. Wind turbines on skyscrapers at the Bahrain World Trade Center (also called Bahrain WTC or BWTC). Bridges connect both buildings and support three huge turbines which are nearly 30 metres in diameter. Optimal Locations for Wind Turbines. You may have seen the tall turbines standing in the fields when you drive by. There is the older classic model windmill that helped to crush grain when the windmill blades would turn, it would turn a mechanism inside which was attached to a device that would crush grain for flour. There are several different locations that are perfect for the renewable wind energy depending on where they are as to how much energy they produce. Turbines can be placed in offshore windfarms in order to produce energy from wind in the air and from the water. They don’t bother the view as much when they are out on the water and the noise that they make cannot be heard on land. The average wind speed is higher on the water because the water has less surface roughness and can use every part of energy from the wind. There are several different locations today that you might see wind turbines offshore and there are more building in the future. The one main complaint with people and turbines is the noise they make. It is constant and annoying to some. The other complaint is that they are tall and not pleasant to look at. While all of these are true the main reason for wind turbines is to find an alternative to using, biofuel fossil fuels and other non-renewable resources to produce our power. When a tower is built offshore it may cost more money in the long run because the towers need to be higher so there will be no restrictions. Turbines access power through undersea cable which may use high voltage direct current. The sea salt may also cut down on the length of time these turbines stay in shape. These turbines can be seen but not heard. They are on water so they can produce enough energy compared to being totally on the land. Because the sea shore lines are considered to be very windy due to the tides coming in and the wind on the water, it becomes the perfect location for a turbine (wind turbine facts advantage). There are issues and concerns with how wildlife is using these towers and zones for their nesting and habitats. There is another concern that the shoreline wind farms are not in the best interests of those who wish to come to the shore line to visit. It becomes a sight to see and hear the generation of power through these wind mills. The size of the towers can be minimal but this causes controversy as well because the smaller the tower the lesser amount of energy to produce. Land-based wind energy projects are a crucial part of wind power development and operations. Effective siting can help wind energy industry continue its growth. 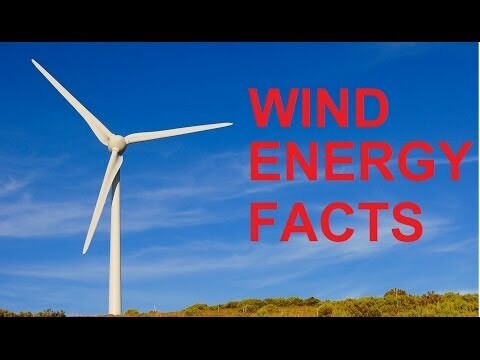 For successfully wind projects and wind energy source, a developer must consider to get adequate wind, as turbines usually need wind that blows at least 11 miles per hour on average (more on wind energy facts). Even small changes in wind speed can make a big difference in the output of a wind farm. Land owners, farmers and ranchers in a suitable location can generate a significant additional income stream from wind turbine land rental options. Wind turbine facts conclusion: Off shore, near shore and land-based wind energy are the choices we have. There are advantages and disadvantages to each one. We have to weigh the results with the problems to see which way may be best for everyone. Read our next article on tidal energy and wave power.